Each iStudy lesson is emailed to members weekly. The daily iStudy questions are divided into five daily sets each addressing a small section of the passage under study. This becomes a very effective daily devotional for most iStudents. Groups meets together using Zoom.us video conferencing solution to discuss their responses from the comfort of their homes, and with the help of trained group facilitators. Teaching on each lesson are recorded in MP4 video and MP3 audio formats. The teachings can be either viewed within your Zoom group or viewed or listened to at a convenient time for each member. Additional study notes are provided to wrap up the week’s lesson. Groups are organized according to the preferences you provide at registration. For example you select the day and time of your preference first, then you can request to be placed with a specific person or with people with similar interests such as Home Schooling Moms or Home schooling couples or college students or road warriors. Typically group members have a wide range of Bible study experience from none to lots. Who will facilitate my group? While you iStudy leader is a person you may never see at the local grocery store, he or she is a person who will be your friend whom you’ll grow to love. This is because they love and care for people as disciples of Jesus. They enthusiastically encourage and faithfully pray for thoase that God has brought into their lives which now will include you. iStudy is taught by members of our teaching team that God has lifted up. Our teachers have strong backgrounds in grammatical historical interpretation, share a deep and abiding love for Jesus, the Word and come to us with many years of Bible teaching experience in a variety of countries and cultures. See their CV Vitae below. You will get the most out of your time investment in iStudy if you spend 15 to 30 minutes daily working through the questions for each day. By doing this you will complete most or all the questions before your next Zoom. Then participate in the Zoom discuss by listening to what others have learned and sharing what you’ve learned to the degree of your comfort level. After your Zoom, pray for your group members, read the notes, view or listen to the teaching and daily work through your questions. Anyone is welcome: men, women, singles, and couples who want to explore the Bible and learn from its unchanging Truth. Who are the iStudyEBS materials writers? Lessons, commentary, and teaching are provided by skilled and experienced Bible teachers with strong backgrounds in grammatical historical interpretation. Why join a group instead of studying the Bible alone? How does a passage written thousands of years ago apply to your life? How does the Truth affect other people? What did someone else hear that might be helpful in my walk? Where each participant takes the depth of their study is entirely up to them. We only use the Bible; no other books are required. 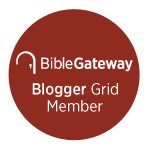 Participants without Bibles can use YouVersion for free access to many translations. A computer or device with internet access and a webcam are also required. We are a non-profit organization and cover all our own operating expenses. Each participant is only asked for a small registration fee of about US$1 per week. Scholarships available for those to whom this fee creates a hardship. How often are group meetings? Each group meets weekly at a time determined by its members. We have groups across the entire world, which means there are meetings taking place nearly 24/7. How can I support iStudyEBS? We believe strongly that we are called to share the Word of God with the world, so we aim to provide our service as inexpensively as possible. Your generosity can play a significant part in our ability to unite people around the Truth of God’s Word. Learn more about donating and consider being an owner of this vision.